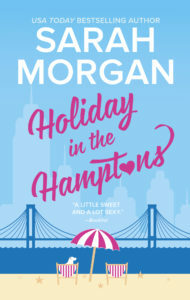 Holiday at the Hamptons is the perfect pick for a Summer romance set in a dreamy seaside town. The main male character, Seth, was caring and compassionate, patient and kind. Felicity has some major life issues to work through and what could have been a very heavy novel was kept light enough for readers. I enjoyed that the author hose to write from two different perspectives so we can see what is going on in the minds of both as they work through their relationship from past to present. There is so much to love about this book and I will be checking out other titles by Sarah Morgan! Content: would best be enjoyed by adults. 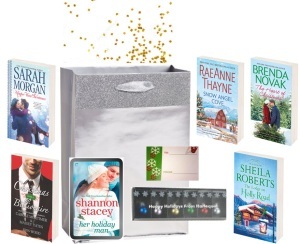 USA Today bestselling author Sarah Morgan writes hot, happy contemporary romance and her trademark humour and sensuality have gained her fans across the globe. Described as ‘a magician with words’ by RT Book Reviews, she has sold over 15 million copies of her books. 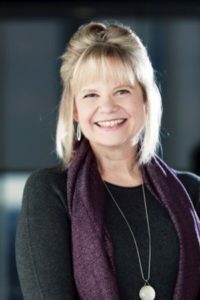 She has been nominated five times for the prestigious RITA© Award from the Romance Writers of America and won the award three times; in 2012 for her book ‘Doukakis’s Apprentice’, 2013 for ‘A Night of No Return’, and 2017 for ‘Miracle on 5th Avenue’. She also won the RT Reviewers’ Choice Award in 2012 and has made numerous appearances in their ‘Top Pick’ slot. 1 winner will receive a Kate Spade Beach Themed Prize Pack, US/Canada Only. Favorite brand and flavor of hot chocolate? Hmm…nothing too sweet, so probably Starbucks with a hint of mint. Fictional character you’d most like to be stuck under the mistletoe with. From one of my books? Or can I choose a movie star? If it’s a movie star, definitely Chris Hemsworth (I guess a lot of people feel that way; I just heard he was chosen as PEOPLE’s Sexiest Man Alive, and I would have to concur). If it’s a fictional hero from someone else’s book, I’d say Susan Elizabeth Phillips’s Bobby Tom Denton. And if it’s a fiction character from one of my own books, I’d say Virgil, from INSIDE, or Dylan, from WHEN SNOW FALLS. I love the wounded alpha hero. My favorite Christmas tradition is getting in a circle with all of my kids and taking turns as we open our presents so that everyone can see what everyone else is getting. It slows the process down and gives us a tremendous amount of vicarious enjoyment. I have a lot of favorite Christmas recipes, but the one I’m craving most this year is my mint brownies from scratch recipe. Cream sugar, eggs and butter. Sift cocoa, vanilla, salt and flour together and add to wet ingredients. Spread in a greased 9″ x 13″ pan and bake at 350 degrees for 25 – 30 minutes. Beat together until you reach the desired consistently and spread on cooled brownies. Then drizzle with real chocolate thinned with Crisco (if you want them to look fancy). If you could pick one holiday destination as a dream vacation where would it be? I just got back from New Zealand, which was about the most wonderful place on earth. So I’d love to go back there—or maybe Australia, since I didn’t get to include that in my travel plans. This would probably be the first Christmas I was married to my husband, Ted. We had VERY little money, and yet he had gone all out. When I walked into the living room on Christmas morning, there was a pyramid of presents that went all the way to the ceiling. My family couldn’t believe it (but having him in my life was the best gift of all). What things are in your grown-up Christmas list? The older I get, the less I care about physical things. I’m happy with another year of health and happiness for my family and friends—and another year spent writing, which is doing what I love. 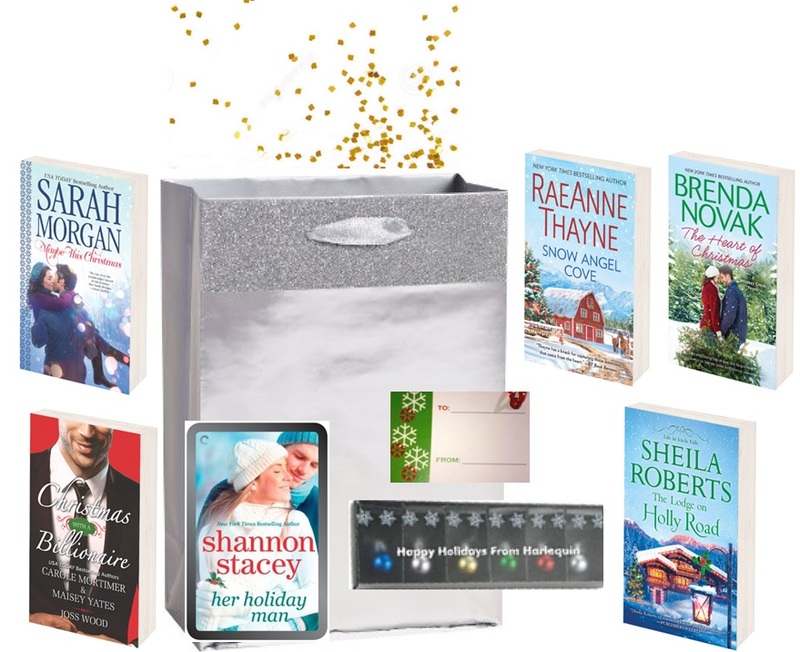 Eve Harmon has always enjoyed Christmas, but this year it reminds her of everything she doesn’t have. Almost all her friends are married now, and that’s what Eve wants, too. There’s no one in the small town of Whiskey Creek she could even imagine as a husband—until a handsome stranger comes to town. Tell us about your characters and setting in a nutshell. 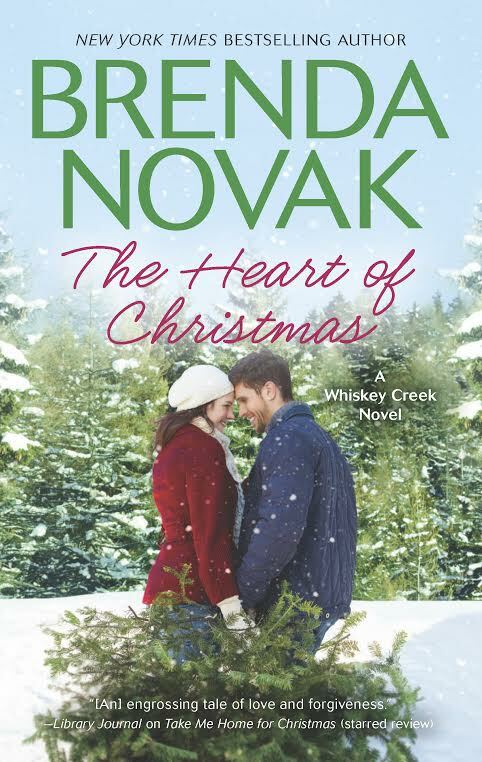 THE HEART OF CHRISTMAS is part of my popular Whiskey Creek series, which is set in a fictional gold-rush town nestled into the foothills of the Sierra Nevadas (similar to Sutter Creek or Jackson not far from where I live). 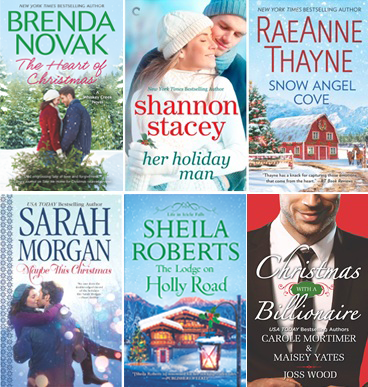 All of these romantic stories feature a backdrop of 1800s architecture, wooden boardwalks and scenic mountains. 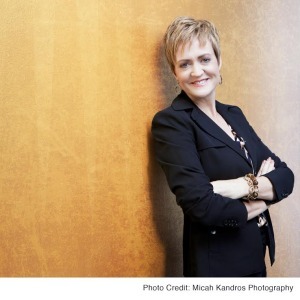 THE HEART OF CHRISTMAS is Eve Harmon’s story. She owns the Victorian Bed and Breakfast in town (Little Mary’s, named after the resident ghost), and she’s trying to get ready for Whiskey Creek’s annual tradition of Victorian Days. Since almost all of her friends are married, she thinks she’ll be spending this Christmas alone—like every other. But then a mysterious stranger comes to town…. Brenda Novak: Brenda and her husband, Ted, live in Sacramento and are the proud parents of five children—three girls and two boys. 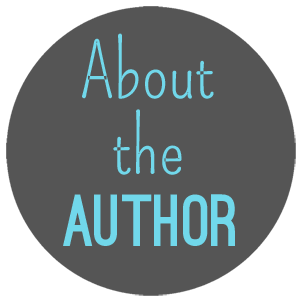 She juggles her writing career with her children’s softball and soccer games, field trips, carpool runs and homework sessions. Readers can find out more about Brenda at her website www.brendanovak.com. 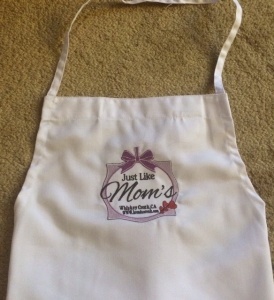 To be entered to win an autographed ‘Just Likes Mom’s’ apron from author Brenda Novak, share in the comments section of this post, your favorite holiday dessert (along with the recipe, if you’re so inclined). Looking for more holiday-themed reads? Click here to discover.